Rafael Arutunian is going through a bit of deja vu right now. Some 12 years after taking on a young Japanese prodigy in Mao Asada, the Armenian coach is doing it again with Marin Honda. 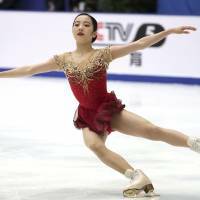 Arutunian, who led Nathan Chen to the world title in March in Milan, Italy, was selected to try and prop up Honda after a lackluster senior debut season, which saw her miss out on the Pyeongchang Olympics. Ice Time spoke to the 60-year-old Arutunian by telephone on Monday in a wide-ranging interview in which he discussed Honda, Mao Asada, Chen and Evgenia Medvedeva. “There are a lot of big changes this offseason. 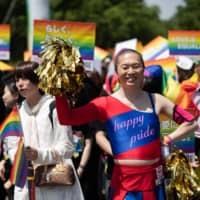 It’s always like that after the Olympics,” Arutunian stated, when asked about how he came to coach Honda at his training base in Lakewood, California. Arutunian admitted that Honda, the 2016 world junior champion, had caught his eye over the years at various events. 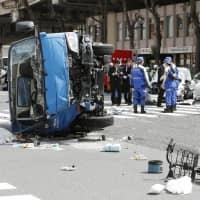 Arutunian made it clear that he would not agree to take on Honda, who was previously coached by Mie Hamada, unless he was guaranteed two years to work with the Kyoto native. Arutunian had high praise for the 16-year-old Honda in his chat with Ice Time, but said he is waiting to see what changes the ISU has in store ahead of the coming season before determining an exact course of action. “She is very nice and has good skating skills, good flow. And she jumps well,” Arutunian noted. “We will see what will come up with the new system (to be voted on at the ISU Congress in June in Seville, Spain). We don’t know the new system yet. We don’t know what they will come up with. The work on Honda’s programs for the coming season has already begun, Arutunian stated. I asked Arutunian if he thought getting Honda out of the media spotlight in Japan might benefit her. Arutunian taught Mao and sister Mai from the summer of 2006 until January 2008. Working with Arutunian, Mao earned the silver medal at the 2007 worlds in Tokyo, narrowly missing out on the gold to compatriot Miki Ando. Two months after leaving Arutunian, Mao won her first senior world title in Goteborg, Sweden, without a coach. Ice Time dug deeper to determine how the initial contact from Honda’s camp was made to the renowned coach. After thinking for a moment, Arutunian recalled when it was. “It was in Osaka (at the NHK Trophy in November),” Arutunian stated. “It was a small conversation with Marin’s father. He approached me. I had never met him before. After starting the season with a victory at the U.S. Classic in Salt Lake City, in September, Honda’s season went south in a hurry. 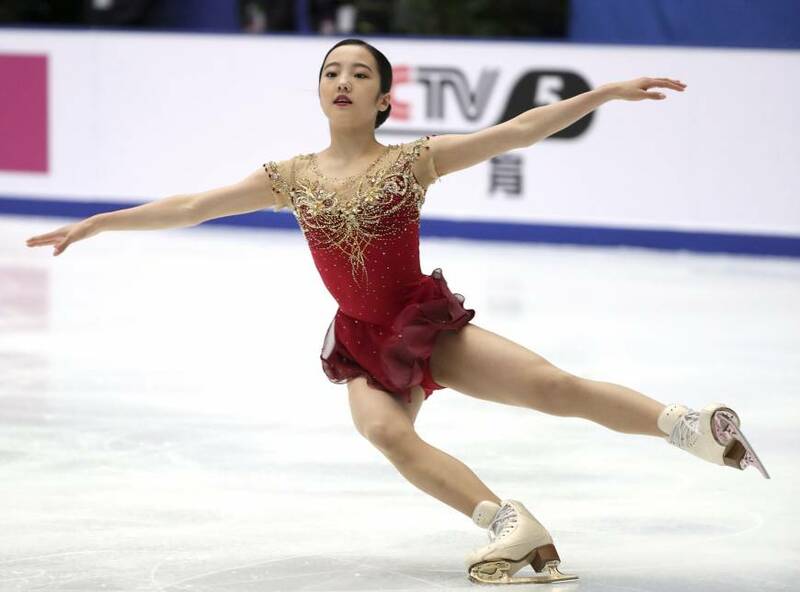 She finished fifth at both Skate Canada and the Cup of China (the week before the NHK Trophy). It was pretty obvious the alarm bells were ringing in Honda’s camp after her Grand Prix results. Matters only got worse at the Japan nationals in December in Tokyo, where Honda finished a distant seventh and looked listless in doing so. Arutunian believes his previous work with Mao will benefit him in teaching Honda. I inquired about whether Arutunian had his charges work with weights as part of their training programs as Honda, like Satoko Miyahara, doesn’t get much lift on her jumps. Ice Time wanted to know if Arutunian had set goals for Honda for the 2018-19 campaign. “The goals are very simple. She needs to try to make it to the Grand Prix Final,” Arutunian stated. “That should be a goal. Honda’s mental fortitude has come into question over the past couple of seasons when it seemed at times that she was indifferent to her results. I wanted to know if Arutunian had any kind of mental training for Honda in his plans. Arutunian then cited one of his own skaters as a reference point. “Let me give you a very good example in Adam Rippon,” Arutunian stated. “You could talk a lot about his mental strength and how he was missing jumps. But whenever he got consistency with his jumps, and his physical shape was perfected, then he skated full programs at the Olympics with zero mistakes. Arutunian said he insists on having a determined period of time before taking on an elite skater. “Whenever anybody comes to me, I say to them, ‘Can you give me some time? I’m not a magician,’ ” Arutunian commented. “To make a change in three months or half a year, it’s impossible. It’s a process. Ice Time moved on and queried Arutunian about Chen, who will be moving across the U.S. to attend Yale in the fall in New Haven, Connecticut. “I give everyone the chance to make their own decisions,” Arutunian said. “Basically, he was accepted at Yale, which is a very high-level university. I think he is so excited that they accepted him. So he wants to try to skate and study together. 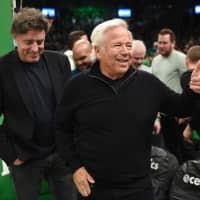 “What he told me is, ‘I want to try it.’ He doesn’t want to leave me, and he knows that I am the coach that basically made him who he is,” Arutunian said confidently. I asked if Arutunian would be able to work out a bicoastal arrangement where he could work with his prized pupil. I closed the conversation by wondering what Arutunian thought about Medvedeva, the silver medalist in Pyeongchang, leaving her longtime coach Eteri Tutberidze and possibly moving to Toronto to train with Yuzuru Hanyu under Brian Orser (a move that was confirmed hours later). “I spoke to the Russian media and told them it was predictable,” Arutunian said. “It happens always with skaters from that group of coaches. Whenever they get older and always some younger skaters come, and they kind of leave the coop. Arutunian thinks adapting to a completely new environment won’t be easy for the two-time world champion. “I know it will be tough for her. Medvedeva comes from a different culture,” Arutunian said. “I don’t know if she can handle that approach which we now have in the U.S. and Canada, where athletes should be more responsible about what they do compared to what happens in Russia. I hope she can handle it. It won’t be easy.